Couples can be hard to shop for. And we’re getting to the age where everyone is a couple now! I would much prefer to get a DIY gifts for couples than to make each person something separate. I feel like it saves on time and resources. 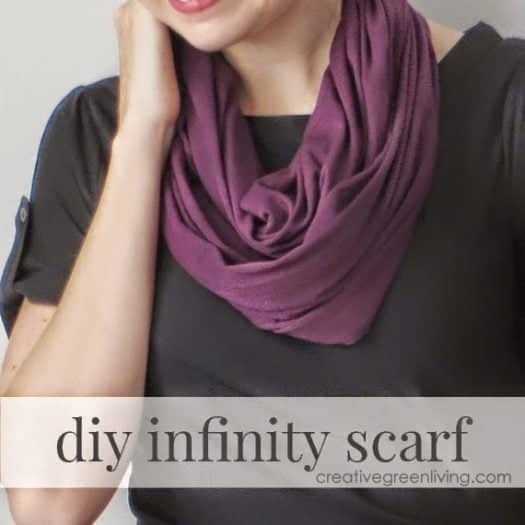 This post is part of a series of DIY Christmas gifts for everyone on your list. And be sure to check out the rest of this weeks posts to see all of the DIY Christmas Gifts. Have a couple that’s just married or just loves their name on everything? Why not make these personalized coasters. This is quite easily the cutest little gift I’ve seen in quite some time. 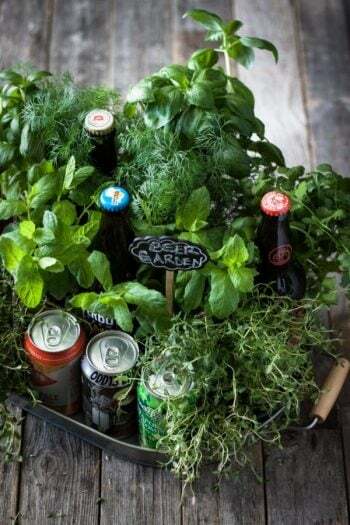 Get beers both parties like, and some herbs for cooking. Perfect date day pun. 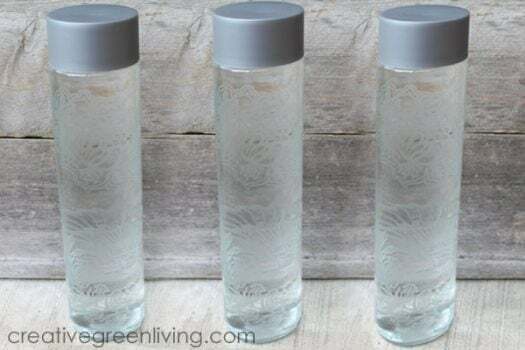 Etch water bottles with their names or initials to make them his and hers! You’re probably thinking glitter isn’t for guys. But these wine glasses are super cute. 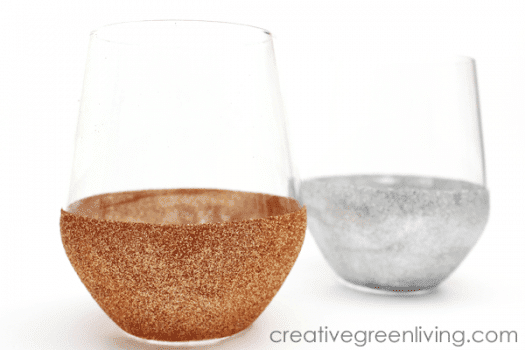 Make some with glitter and keep some plain! Perfect for everyone. 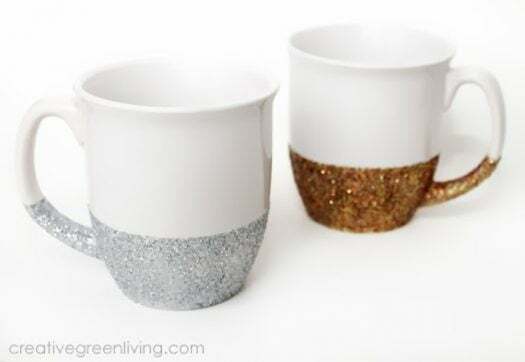 If wine isn’t there thing and coffee or tea is more their style, then try these glitter mugs instead! 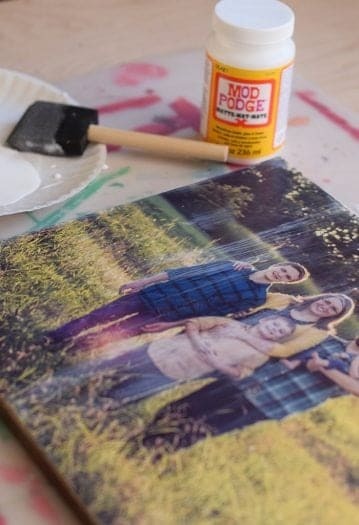 If you have a close friend who you know would love some art for their walls, try your hand at a DIY photo canvas. 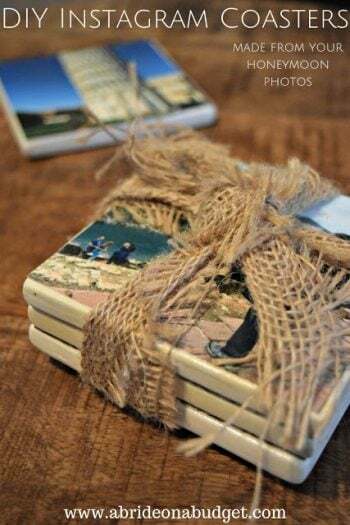 What couple wouldn’t love these Instagram coasters! Perfect for saving their coffee table and displaying some photos at the same time. Technically, this is probably just for the woman. But pair it with anything else on this list and you can make it into a couples gift! 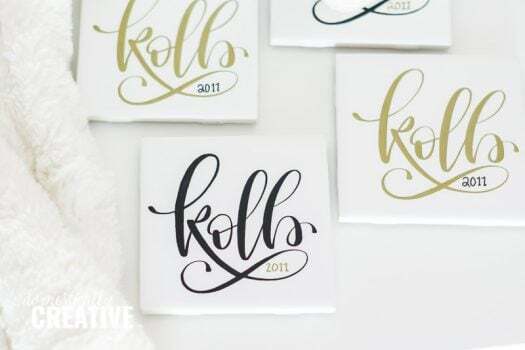 These marble tile coasters are the perfect upscale gift for your hard to shop for friends. 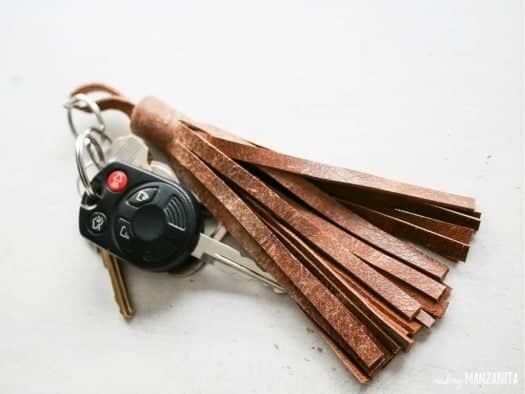 It’s hard to find cut tassels that won’t break the bank! 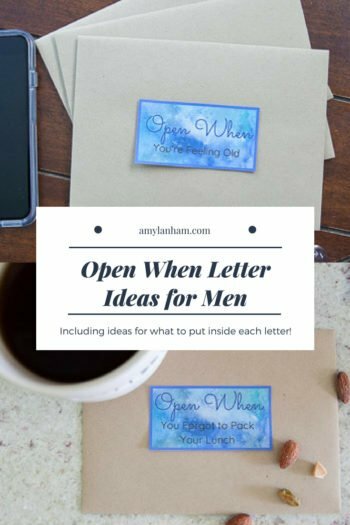 Why not put some fun date ideas into these open when letters! Make it a gift they can open throughout the whole year! Hopefully this gives you some ideas for what to get for those couple friends of yours that can be so hard to shop for! 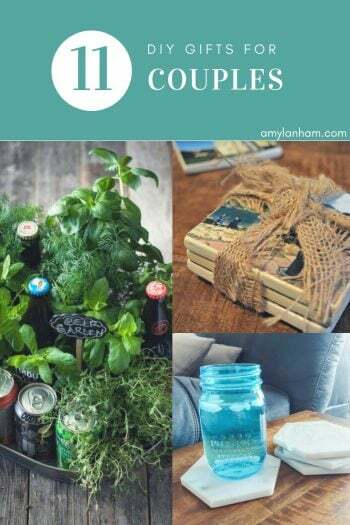 Be sure to check out the rest of this weeks posts to see all of the DIY Christmas Gifts. I love DIY gifts! The mugs and glasses are right up my alley. 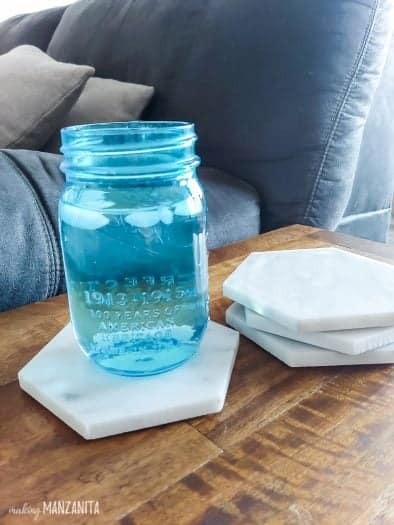 These are cute ideas and I love the coasters. My nephew just got married and this would be great for them. These are such great ideas! I have a tough time shopping for my husband and other couples. I would love to make some of these! Thank you so much for sharing my photo canvas! So many wonderful gift ideas here! Pinning! Welcome! I'm Amy. I am a wife and stay at home mom to two kids and trying to build my empire during naps and nights when my husband is home. To keep my sanity, and stay on budget, I create DIY crafts for the kids, home decor, and gifts. If I'm not sleeping, hanging out with my kids, or working, you can find me binge watching "The Office" reruns with my high school sweetheart, John. We are a participant in the Amazon Services LLC Associates Program, an affiliate advertising program designed to provide means for us to earn fees by linking to Amazon.com and affiliated sites. For more information about our affiliates, please read our full disclosure.